Welcome to Canada’s Largest Free Job Posting and Search Network, connecting thousands of qualified hospitality professionals with employers every month. This is the place to find out who’s looking and who’s hiring. This is a free service. All postings will be thoroughly researched for validity. 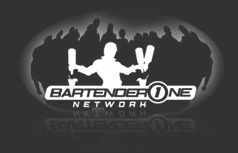 BartenderOne reserves the right to reject and/or remove any post at any time without notice. Our job search is done through our free networking service, iPour. Log in below to start your search, or register fast and free if you haven’t already! Forgot Password? Not Yet Registered?